"...After my wife and I were married, I brought her to our apartment, and after about a week, I began to go out on evangelistic preaching missions. I would preach in my church on Sunday, and then, on Monday, I would go out preaching. I came home only on weekends and brought my laundry to my wife. This went on for six months while I burned with ambition to become an evangelist. For a while my wife was very kind. When I came back from my evangelistic campaigns, she would rush out to the door and welcome me. She loved me, and she would cook a good meal for me. But as month after month passed and there was no change in this routine, she became depressed. She wouldn't welcome me. She cried often. Even the meals were not very good. Something was wrong. At that time, my wife was very shy, because we were newly married. She never said anything to me about what was wrong. I tried to cheer her up by joking and so on, but nothing seemed to help. Finally, one day, my mother in law came to me and said, "Yonggi, do you like living with my daughter?" "Yes, of course," I said. "Well," she said, "you are going to lose her if you keep treating her this way." "Why, what do you mean?" I asked, shocked. "I treat her very nicely. I got her this nice apartment, and I make sure she has plenty of food and very good clothes. What more can I do? I am treating her very nicely." Then my mother in law looked into my eyes and said, "Son, you don't understand. You didn't bring a 'thing' into your home. You brought a person to your home. A person can't live in an apartment with just rice and clothes and money. She needs love, recognition, fellowship." I thought about that for a very long time. My immediate reaction was, "That's from the devil! Here I am working for the Lord. Why should she put so many demands on me for affection, care and concern?" But my wife continued to become more and more depressed, and eventually, some warning signs stirred in my heart. So, I went before the Lord, and I prayed, "Lord, it seems that I am going to have to choose between one of two things - my ministry or my wife. Your glory and my ministry are far more important than my wife. If I need to lose one of them, then I will have to lose my wife, because my ministry means more to me than she does. God, either correct her or let us be separated. I'd rather live the rest of my life alone and carry on my ministry." Then the Holy Spirit spoke to my heart, and He said, "No, no, no. You are greatly mistaken in your priorities. So far you have put God first, church second, yourself third, and you are putting your wife last. You have made a grave mistake. Of course, God must be first, but the rest of your priorities need to be arranged. You should come second, and your wife should come third. When you have children, they should come fourth, and then, church should be last." I thought about that, and I was in great consternation. "This must be an American devil," I said. "We can't accept this kind of thinking in the Orient." "Oh, no, this is not America, this is my way. God must be first, but you must come second, because you need to live a holy life to carry out this ministry. You are very important. Next, your wife must come right after you. If you ever lose your wife and become divorced, no one will ever listen to you again. Your ministry will be gone. You may build a tremendous church, but if your home becomes broken, you will lose your ministry. Having fellowship with your wife is more important than building a church, because the whole church is dependent on your home life. You will bring more disgrace to the ministry by being divorced than all the other benefits you might otherwise bring. Also, all Christians will be looking at your children. If your children become rebellious and get into trouble, like the prodigal son, who is going to listen to you? Your primary ministry should be to your children. Your children should be the number one members of your church. Then all together, you, your wife and your children will build the church. Take your wife as a very important asset to your ministry, and nurture your relationship with her." I thought that sounded too risky at the time, but I decided to give it a try. I cancelled a lot of my evangelistic campaigns, and I made a definite promise to spend every Monday with my wife. I said I will do anything on Mondays that my wife wanted me to do. If she wanted to go to the park, I would go with her to the park. If she wanted to go to the departmental store, I would almost break my backbone in following her, but I would do it. Then, we would sit down and have a nice dinner together. And every morning, I would say to my wife, "Honey, I love you. You are very pretty. You're wonderful. I'm a lucky guy to have you." Then a miracle occurred. My wife began to pull out of her depression. Her expression changed, and that buoyant spirit returned to her heart. She began to smile, and then to laugh and be cheerful and mischievous. After a while, she began to cook meals again. We had a wonderful fellowship! We began to pray together and to plan the ministry together. I had found the answer. To have a real home life, you need to have real fellowship with each person. You can't bring your wife home and expect her to live there alone with only the house, the money, the cloths, and the food. A wife is more than that; she's a person." 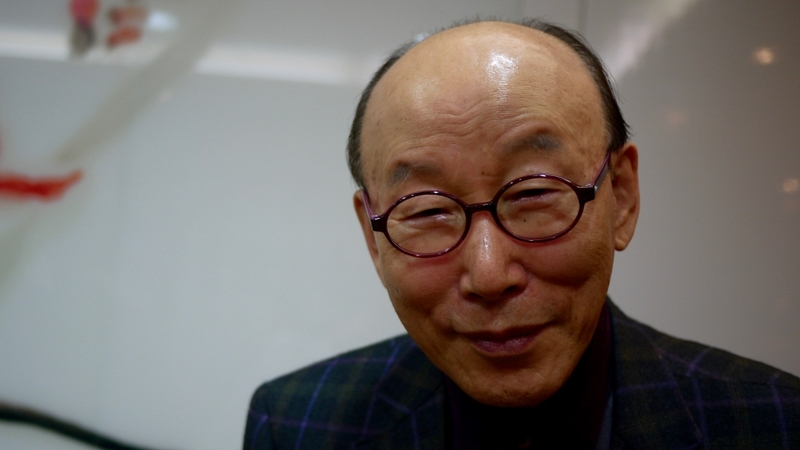 Dr David Yonggi Cho, pastor of the world's largest church.